It takes only a few days of warm weather for the bug population to explode! Most people have heard about Lyme Disease caused by the bite of a tiny tick, commonly known as the deer tick. With the warm weather unfolding, these tiny creatures have awakened and may choose you or your child as a host for its survival. In CT, the primary disease associated with deer ticks is Lyme Disease, however there are other diseases, less common, but existent within our health district, that can be caused by the same insect. They are Babesiosis and Ehrlichiosis. You need to be vigilant in checking yourself for ticks. Wearing protective clothing (long sleeves, long pants) when in wooded areas. Yard attention such as keeping the grass cut and establishing a barrier between the yard and wooded areas may also help prevent exposure to ticks by reducing tick populations. 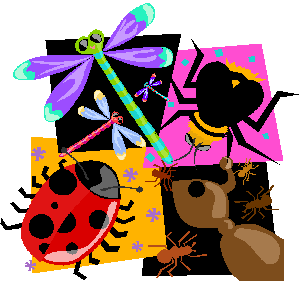 Visit the CDC website for help in reducing ticks in the backyard. Classic symptoms of Lyme Disease include a slowly, expanding red-pink rash, which may have the appearance of a Bull’s eye; flu-like illness, including low grade fever, fatigue, headache, neck stiffness, jaw discomfort, sore throat, or swollen glands; neurologic symptoms like Bell’s Palsey (drooping of the facial muscles), or other nerve-related symptoms; arthritis symptoms, including pain or stiffness in joints or muscles. While these are classic symptoms, Lyme Disease can cause various other symptoms that may be persistent or come and go. If you experience any unusual illness for which there is no explanation or have symptoms that do not go away or get worse, especially if you have had any kind of a rash, call your doctor and be tested for Lyme Disease. For written information, call QVHD or place a request on line. Finding a tick on your body does not mean that you will get Lyme Disease (or another associated disease), as not all ticks carry the germs that cause these diseases. Furthermore, a disease-carrying tick must stay attached long enough to take a blood meal. Some health care providers will treat you for Lyme Disease if you have had a tick bite, with or without symptoms. Ticks can be tested for the presence of the germ. However, this will not tell you if the germ passed into your body. The turn-around time to get the testing results can take up to three weeks. When a physician feels it is medically-necessary to get a tick tested, you can have it tested at no cost at the CT Agricultural Station, but you must first get a referral form through QVHD. The Agricultural Station will IDENTIFY the tick species on all submissions but will only TEST the tick if it is engorged (filled with blood.) Live ticks are tested more rapidly and accurately. To keep it alive, put it in a sealed container with some leaves. (Dead ticks can also be tested.) It can take up to three weeks for the results, so be sure to watch for symptoms. 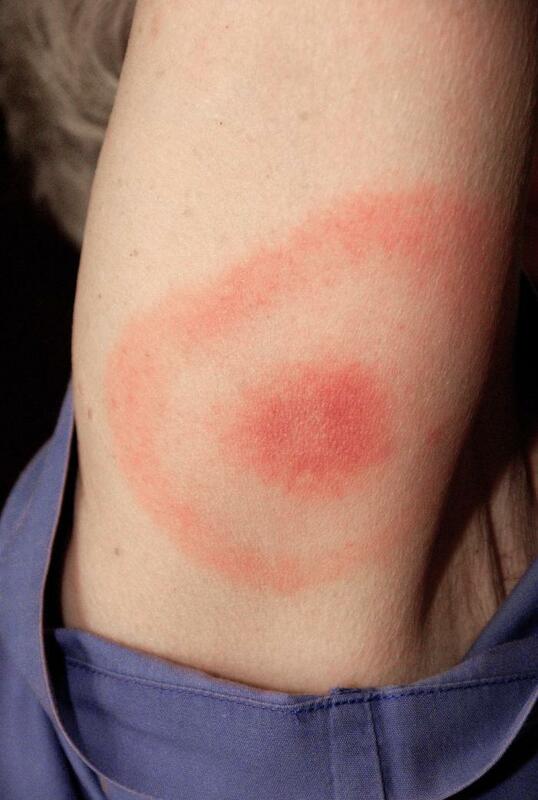 If you find a tick attached to your skin, there is no need to panic. There are several tick removal devices on the market, but a plain set of fine-tipped tweezers will remove a tick quite effectively. Prompt and proper tick removal is very important for preventing possible disease transmission. Use fine-tipped tweezers and protect your fingers with a tissue, paper towel, or latex gloves. Avoid removing ticks with your bare hands. Grasp the tick as close to the skin surface as possible and pull upward with steady, even pressure. Don't twist or jerk the tick; this can cause the mouth-parts to break off and remain in the skin. If this happens, remove the mouth-parts with tweezers. If you are unable to remove the mouth easily with clean tweezers, leave it alone and let the skin heal. After removing the tick, thoroughly disinfect the bite and your hands with rubbing alcohol, an iodine scrub, or soap and water. If you begin to experience a rash or fever within several weeks of removing a tick, see your doctor. Be sure to tell the doctor about your recent tick bite, when the bite occurred, and where you most likely acquired the tick. (The information above about removing ticks, including the illustration, is from http://www.cdc.gov/ticks/removing_a_tick.html). It is expected that there will be mosquitoes in Connecticut that carry West Nile Virus this summer. You do not get West Nile Virus from a dead bird. You get it from the bite of an infected mosquito. Reducing mosquitoes on your property is a very important action for protecting yourself from West Nile Virus. Using insect repellent throughout the whole warm weather season, including into the fall until 3 days of frost have occurred, provides critical protection against West Nile. The State of CT will not be monitoring birds for West Nile Virus this year. This means there will be no collecting of birds, nor will QVHD be collecting data on dead bird sightings. If you find a dead bird on your property, you can bury it or double bag it and place it in the trash. When handling any dead animal carcass, you should wear gloves.